St. Mary's Church in Sharpsburg. Photo by Ryan Rydzewski. A walkable community from end to end, the borough offers plenty of places to eat, drink and shop — from the mom-and-pops on Main Street to trendy breweries and Italian fine dining. And with big-name companies like Deeplocal moving in, officials say the Sharpsburg renaissance is just getting started. Start at the borough’s most visible landmark: St. Mary Church. Built in 1916, the church towers over Route 28 at Sharpsburg’s western edge. 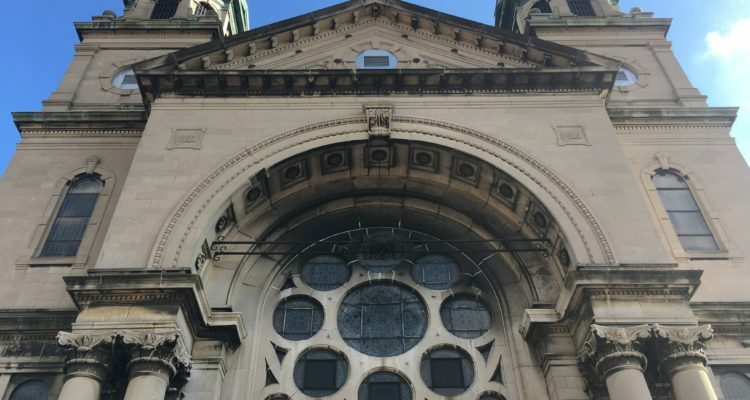 The building’s iconic facade will please even casual fans of architecture, as will the stained glass and soaring arches that await visitors inside. From there, wander south to Main Street, the kind of classic commercial district that’s increasingly hard to come by. Fuel up at Cafe on Main, Sharpsburg’s go-to spot for breakfast and brunch; or Brother Tom’s Bakery, a restaurant and deli that serves plenty of snacks (and frozen pierogies) to go. If you’re off to a late start, don’t worry — you can also grab lunch at Gino Brothers Pizzeria. Walk in any direction on Main Street to find unique, locally-owned shops like D and E Collectibles, which has plenty of pop-culture toys and comics on hand; Hippie Houses, which is packed with eclectic vintage and handmade goods; and the St. Vincent de Paul Thrift Store, for all your secondhand needs. For a dose of history, check out the H.J. Heinz Memorial Plaza, which commemorates the man who, in 1869, launched the first Heinz factory in the kitchen of his Sharpsburg home. (The company later moved its operations — as well as Heinz’s house — to the North Side.) There’s also a life-size statue of Guyasuta, a Seneca chief and ally of George Washington who once owned land in Sharpsburg. For a dose of something else, Sharpsburg’s breweries aren’t to be missed. 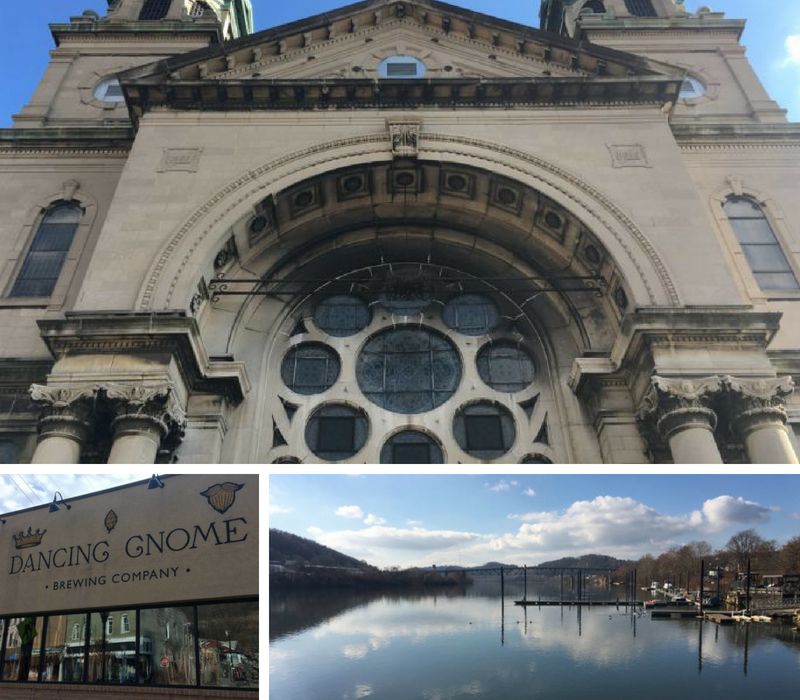 Dancing Gnome, a brewery and taproom on Main Street, opened in October 2016 to long lines and rave reviews. 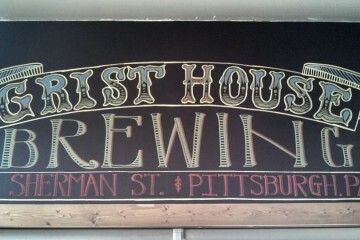 (The lines may be gone now, but the beer is better than ever.) 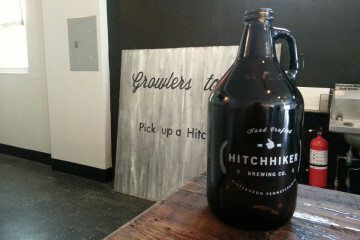 About a year later, Hitchhiker Brewing Co., which began in Mt. Lebanon, opened a brewery and taproom of its own on South Canal Street. (Their seasonal guava IPA — if you’re lucky enough to go when they have it — is to die for). Finally, don’t forget about the borough’s natural gem: the Allegheny River. Take a walk along the James Sharp Boat Landing to go fishing or simply take in the panoramic river views. And the outdoor patio at Silky’s Crow’s Nest makes an excellent summer hangout. 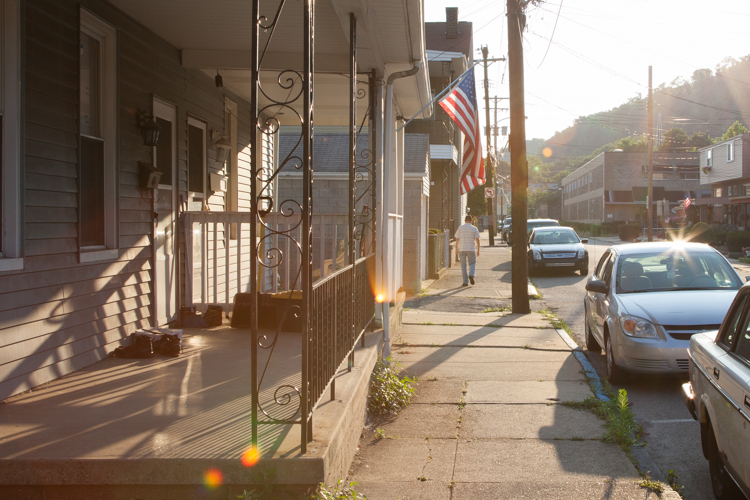 Hungry after a full day in Sharpsburg? Cap off your day with dinner at the pasta-centric Gran Canal Caffé, a family-owned Italian restaurant considered by many to be one of the area’s hidden gems. The borough of Sharpsburg was founded in 1842. It’s named for James Sharp, who purchased the land in 1826 for $1,337.37 — the equivalent of just over $30,000 today. Boaters can launch their boats from the James Sharp Boat Landing free of charge. Sharpsburg is served by the Fox Chapel Area School District. Interested in getting to know other Pittsburgh nabes? Check out our Neighborhoods Guide!